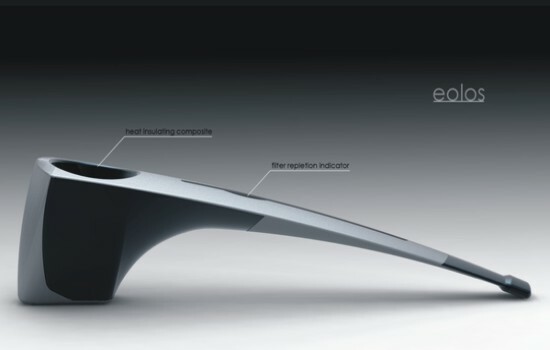 This elliptical smoke pipe is finely crafted by Eolos. Grey with shades of black increases its style quotient. It also comes with a heat insulating composite and filter repletion indicator that warns the user in case the old filter needs to be replaced.